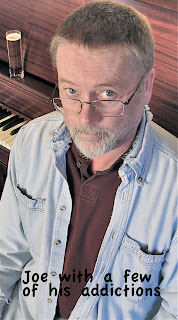 In 2006 Joe devised a scheme to enable his musical friends in Halifax and southern Alberta to play together. Although it seemed a little crazy at the time, Johnny and Joe in Alberta couldn't think of any other way to have a decent band in the Pincher Creek area… they'd been trying for a few years without success. So in 2007 (yes it took a year to arrange the get-together) Hang 'Em High was born. 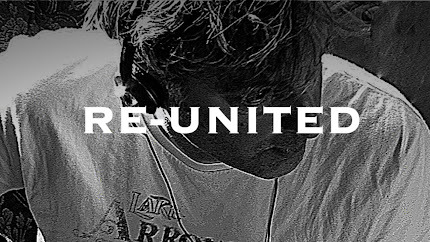 Of course, it seemed only appropriate that if we were going to go to such lengths to play just a few gigs we should certainly try to arrange one helluva party while we were all together. Lucy Copp and Burns Thomas agreed to host the gigantic barbecue the ensued. Burns and Lucy of the Cloudy Ridge Ranch have hosted almost every musician in western Canada while they're in the southwestern Rockies to play the favourite special venue of almost every musician in on the secret….the Twin Butte Store & Restaurant. 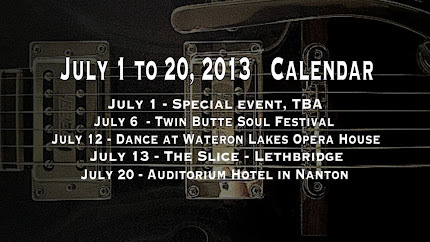 In 2008 Jeny Akitt of the Twin Butte store got more involved with Hang 'Em High and Jeny and Joe together, founded "The Twin Butte Soul Festival" with, initially, Hang 'Em High as the sole (pun intended) musical entertainment. 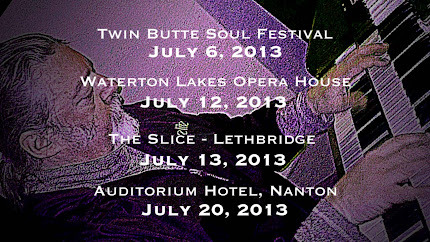 Since that time the Soul Festival has grown larger each year but after 2009 Hang 'Em High had run out of resources and were no longer involved. 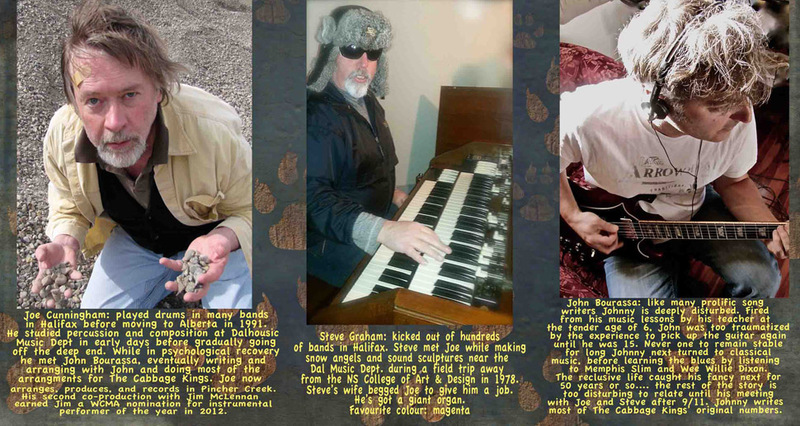 In the fall of 2011 Joe, Johnny, and Steve decided to embark on a new and more ambitious venture. It was decided to procure and refurbish a Hammond organ and Leslie in Pincher creek, thus avoiding the huge expense of shipping them back and forth across the continent. Mike Barkwith, an electrical engineer and vacuum tube aficionado, set to work on the project with Joe. That is a story in itself. We will have to forego the gory details here! 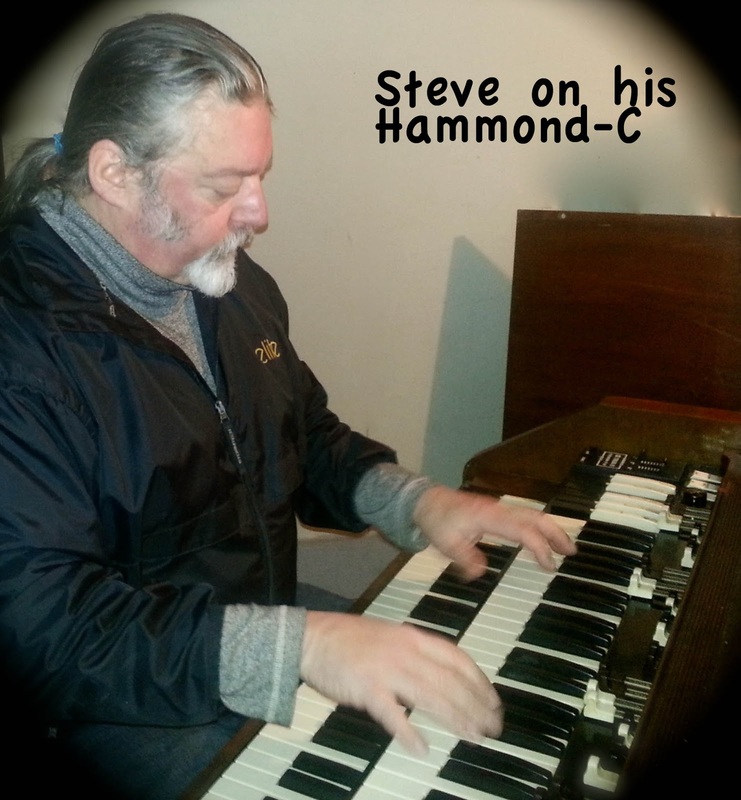 However, it was also decided to completely arrange and write a unique repertoire for this band….so that's what happened….with Joe and Johnny putting together all new arrangements and some original tunes as well. 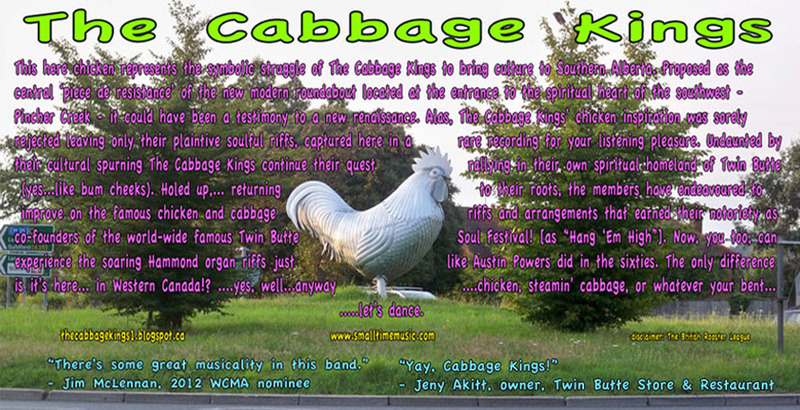 So after eighteen months of work The Cabbage Kings were born. Oh yes…. the name…. Well, while Johnny was working on some of the original tunes he wrote for the band he went through another of his weird phases. 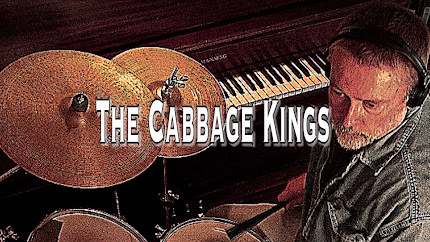 Suffice to say cabbage took centre stage in that particular phase and Joe and Johnny began referring to all the instrumental tunes he wrote as "the cabbage tunes".